JUSTICE minister Ziyambi Ziyambi was yesterday grilled in the National Assembly by Norton MP Temba Mliswa over reports that incarcerated former Bikita West legislator Munyaradzi Kereke was enjoying conjugal rights in prison resulting in him impregnating his wife. "Can Ziyambi explain government policy on incarcerated prisoners and whether government has shifted its policy on prison conjugal rights because Kereke is alleged to have impregnated his wife in prison and you (Ziyambi) are also alleged to have facilitated that," Mliswa said while questioning Ziyambi. The Justice minister responded: "The answer that I can give is that we now have the Prisons and Correctional Services Department which is a constitutional body. We are shifting away from a scenario where a prisoner is a condemned individual and moving towards rehabilitation of incarcerated offenders and correcting them so that they re-intergrate into society. "The mentality that society had was that once you are incarcerated you are condemned, and that is the mentality that Mliswa has. Whether prisoners are allowed to have conjugal rights in prisons – I cannot answer that because that is a specific question." Ziyambi said the ideal situation was that more open prisons must be set up so that prisoners that do not have serious crimes can be allowed to visit their homes if they are not dangerous. He said there was need to come up with community centres to rehabilitate prisoners. But Mliswa was not satisfied with Ziyambi's response. "Has the policy shifted only for one prisoner to enjoy his conjugal rights? Why are those conjugal rights not being given to everyone, and why is it being done in a selective (manner). The Justice minister has been implicated that he is the one that gave Kereke those rights," Mliswa said. This did not go down well with Ziyambi, who said MPs must ensure they have facts before they accused him. "I expect MPs to come to Parliament and be animated to explain things using facts. When an MP alleges that I facilitated that, then I call upon the Speaker Jacob Mudenda to ask the MP to furnish the House with proof that I facilitated it because that is grave. You cannot come and allege and then say I am implicated," Ziyambi said. Mudenda ruled that Mliswa must then put the question in writing so that Ziyambi comes with a response. 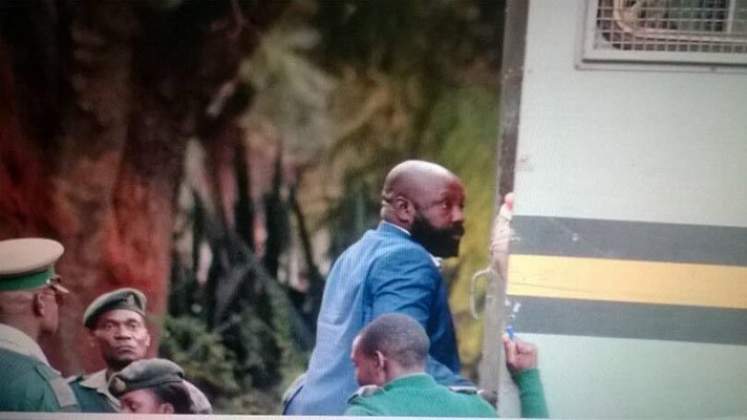 Ziyambi demanded that the written question should also state the names of those that told Mliswa that he was implicated in according Kereke his conjugal rights.